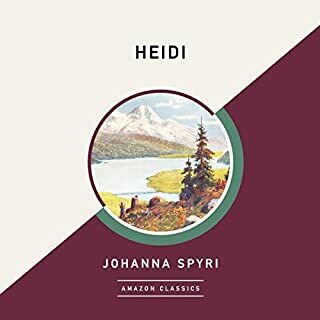 Filled with the power of love and the beauty of nature, Heidi is a lyrical tale about a little girl sent to live in the mountains of the Swiss Alps with her grandfather. A grumpy recluse, her grandfather has isolated himself from his fellow townspeople and his church. In very little time, Heidi warms his heart; and she quickly charms the whole town and makes new friends, including young Peter, the goatherd. But when Heidi is sent away again to care for a young girl her own age, she must grow wise beyond her years. When Father is taken away unexpectedly, Roberta, Peter, Phyllis and their mother have to leave their comfortable life in London to go and live in a small cottage in the country. 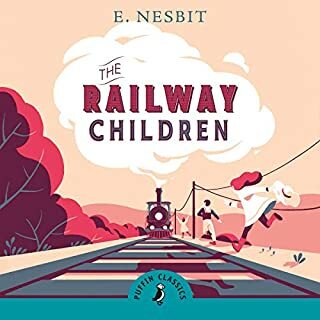 The children seek solace in the nearby railway station and make friends with Perks the Porter and the Station Master himself. Each day, Roberta, Peter and Phyllis run down the field to the railway track and wave at the passing London train, sending their love to Father. Little do they know that the kindly old gentleman passenger who waves back holds the key to their father's disappearance. After losing her parents, young Mary Lennox is sent from India to live in her uncle's gloomy mansion on the wild English moors. 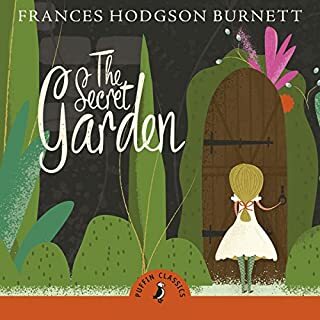 She is lonely and has no-one to play with, but one day she learns of a secret garden somewhere in the grounds that no one is allowed to enter. Then Mary uncovers an old key in a flowerbed - and a gust of magic leads her to the hidden door. Slowly she turns the key and enters a world she could never have imagined. The five children find a cantankerous sand fairy, a psammead, in a gravel pit. Every day 'It' will grant each of them a wish that lasts until sunset, often with disastrous consequences. Never out of print since 1902. 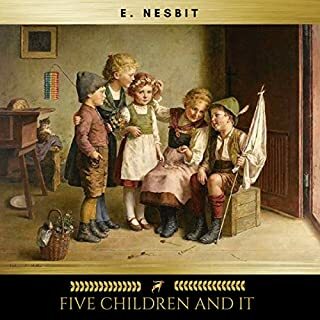 The Introduction to this edition examines Nesbit's life and her reading, showing the change in childrens' literature from Victorian times. When his brother catches measles, Tom is sent away for the summer to stay with his uncle and aunt and is thoroughly fed up about it. What a boring summer it's going to be. But then, lying in bed one night, he hears the old grandfather clock in the hall strike the very strange hour of 13 o'clock. What can it mean? 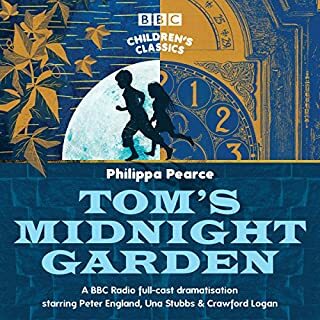 As Tom creeps downstairs and opens the door, he finds out...a magical garden, a new playmate, and the adventure of a lifetime. 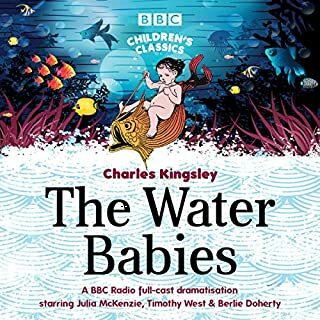 Julia McKenzie, Timothy West and Berlie Doherty star in this BBC Radio 4 full-cast dramatisation of Charles Kingsley's classic tale of a chimney sweep who becomes a water baby. When Peter Pan flies into the night nursery of Wendy, John, and Michael Darling, he takes them on the journey, and the adventure, of a lifetime. Mermaids, wolves, and Indians weave their spell in the magical Never Never Land, where also lurks the wicked Captain Hook. 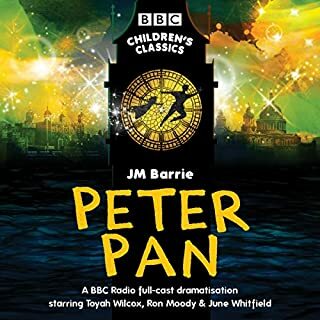 Toyah Willcox stars as Peter Pan, with Ron Moody as Captain Hook, Roy Hudd as Smee, and June Whitfield as Mrs. Darling in this spectacular BBC Radio 4 dramatisation, with stunning sound effects and specially composed music. 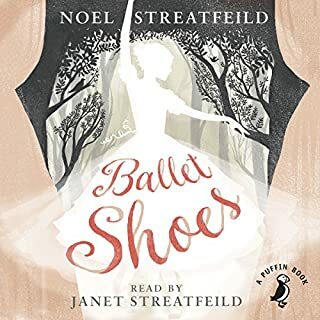 When the East Wind blows Mary Poppins into the home of the Banks children, their lives go topsy-turvy and are changed forever. 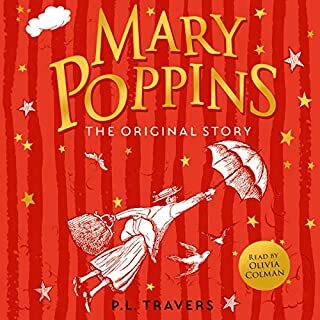 More than 80 years since we first met Mary Poppins, this original, classic story is still charming listeners and transporting new fans into the mysterious world of everyone’s favourite magical nanny. 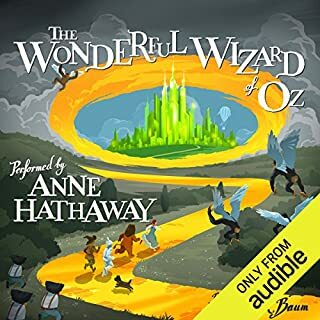 One of the best-known stories in American culture, The Wonderful Wizard of Oz has stirred the imagination of young and old alike for over 100 years. Best Actress nominee Anne Hathaway ( Rachel Getting Married, Alice in Wonderland), fresh from filming one of this year’s most anticipated films ( The Dark Knight Rises), lends her voice to this uniquely American fairy tale. Pongo lives happily with his human pets Mr. and Mrs. Dearly in a large house in Regent's Park. When his wife Missis produces a litter of 15 beautiful pups, life seems wonderfully complete. But the mysterious disappearance of the puppies suddenly throws everything into turmoil. 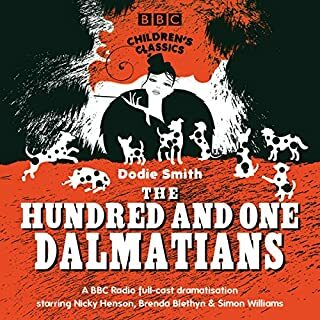 Pongo, one of the keenest brains in Dogdom, quickly realises that he and Missis are the only hope for their youngsters' survival. 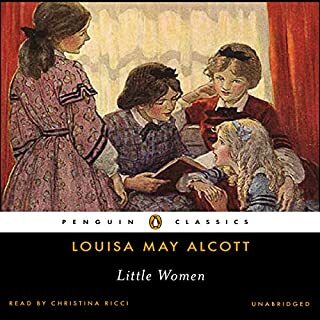 Little Women is recognized as one of the best-loved classic children's stories, transcending the boundaries of time and age, making it as popular with adults as it is with young listeners. The beloved story of the March girls is a classic American feminist novel, reflecting the tension between cultural obligation and artistic and personal freedom. But which of the four March sisters to love best? For every listener must have their favorite. Independent, tomboyish Jo; delicate, loving Beth; pretty, kind Meg; or precocious and beautiful Amy, the baby of the family? Fans of L. M. Montgomery's Anne Shirley rejoice! Collected here are six of the original Anne Shirley books in the order they were published. 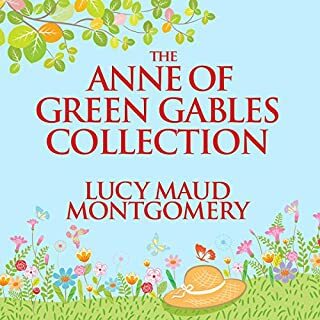 This collection includes Anne of Green Gables, Anne of Avonlea, Anne of the Island, Anne's House of Dreams, Rainbow Valley, and Rilla of Ingleside. Published between 1908 and 1921, these heartwarming tales of hidden hopes and cherished dreams will enchant fans and new listeners alike. 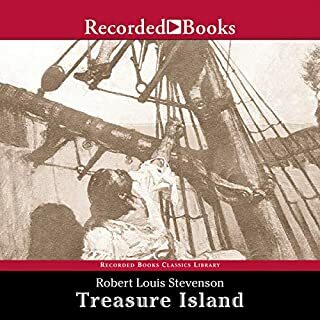 If you happen to find a map in a dead buccaneer's sea trunk, you can't very well ignore it, not if you are Jim Hawkins and his friends Dr. Livesey, Captain Smollett, and Squire Trelawney! But even with a map, buried treasures are not easy things to come by. 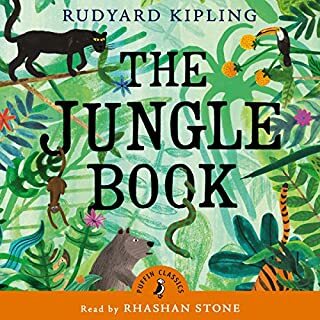 Penguin presents the audio edition of a Puffin Classic: The Jungle Book by Rudyard Kipling, read by Rhashan Stone. Saved from the jaws of the evil tiger Shere Khan, young Mowgli is adopted by a wolf pack and taught the law of the jungle by lovable old Baloo the bear and Bhageera the panther. The adventures of Rikki-Tikki-Tavi the snake-fighting mongoose, little Toomai and the elephant's secret dance, and Kotick the white seal are all part of Mowgli's extraordinary journey with his animal friends. My naughty little sister is the naughtiest little girl in the world... she's always having adventures! She wins a prize in the Fancy Dress parade, and she goes to the hairdresser with Bad Harry to watch him have his golden curls chopped off. But she's a very stubborn girl at the photographer's shop - she won't say cheese! I liked the story . 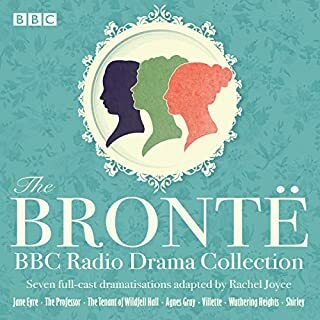 A stunning collection of the Bronte sisters' novels, adapted by the best-selling author Rachel Joyce. The collection includes Agnes Grey, Jane Eyre, Shirley, The Professor, The Tenant of Wildfell Hall, Villette and Wuthering Heights. 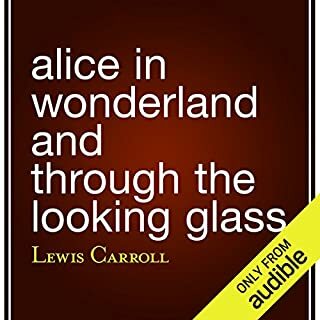 Here's a BBC Radio-4 full-cast dramatisation of the classic American tale, starring Gayle Hunnicutt. When Pollyanna's father dies, she is sent to live with her only surviving relative, the rich but stern Aunt Polly. Pollyanna's joy soon turns to disappointment when her spinster aunt gives her a cold greeting and tells her she is to stay in the attic. It's not the welcome Pollyanna expected, but she soon regains her spirits, playing the "glad game" her father taught her. Nancy the maid is charmed by Pollyanna and soon the girl's infectious optimism wins the hearts of everyone in town, from the reclusive Mr Pendleton to the shy Dr Chilton. Everyone, that is, except Aunt Polly, who refuses to succumb to her young niece's charm. It is not until a tragic accident occurs, which leaves even Pollyanna struggling to find a way to feel glad, that her maiden aunt finally unwraps her heart from years of bitterness. 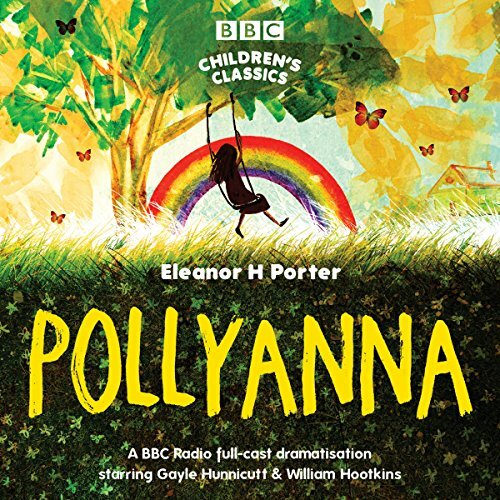 This dramatisation retains the spirit of childlike innocence and optimism that has made Pollyanna a favourite amongst generations of children and adults. Great story! Vocals were dynamically inconsistent. Unfortunately, the voices were loud and other times inaudible. Had to keep adjusting the volume in the car.